Ford has been employed with the Southern University Ag Center since 2012. He has overseen the implementation, operation and secured funding for the native grass research project since 2013. He earned his Doctorate of Philosophy in Urban Forestry from Southern University and A&M College and Master’s Degrees in Public Administration and Urban Forestry from Grambling State University and Southern University, respectively. Ford also holds a Master of Education in Administration and Supervision from Southern University and a Bachelor of Arts and Science in General Studies with minor degrees in Landscape Architecture and Geography from Louisiana State University. To join the webinar visit, https://usfs.adobeconnect.com/susops/ and follow the instructions listed on the right of the screen. A conference line will also be available for audio only. To access the conference call line, dial 888.844.9904 and use the pass code 6194008. Baton Rouge, LA – The SU Ag Center and the Division of Agricultural, Family and Consumer Sciences will host the 21st Annual Black History Quiz Bowl on Wednesday, February 25, 2015 at 3:00 p.m. in the Southern University Agricultural Research and Extension Center Auditorium. 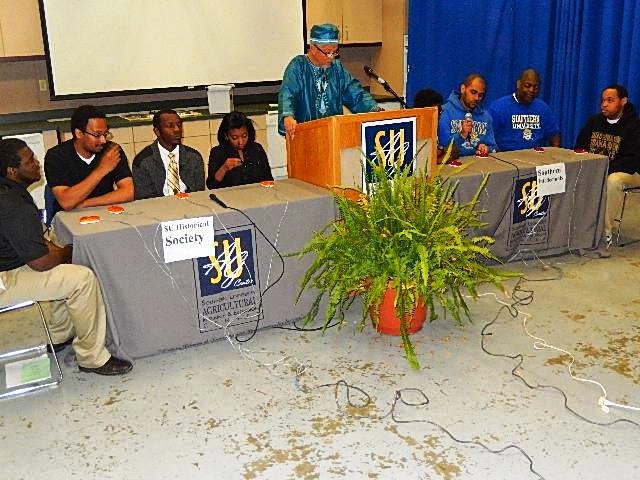 Previous Black History Quiz Bowls were enjoyable, exciting and successful. Once again, we are encouraging all divisions, clubs and other organizations and individual students within the college to form student teams. Although we strongly encourage students from our college to participate, teams can include members from other colleges. Faculty encouragement of students has always been a very crucial part of getting enough teams registered for this event. Your cooperation and encouragement are very critical as always. Volunteers are also needed to serve as judges, time keepers, and official scorers. Volunteers who can assist in this year's Black History Quiz Bowl should contact Dr. Owusu Bandele at 225-284-0063 or obandele@cox.net. Baton Rouge, LA – The Southern University Agricultural Research and Extension Center staff comprising of researchers and extension agents participated in the 33rd Annual North Louisiana Agri-Business Council Ag Expo on January 16-17. 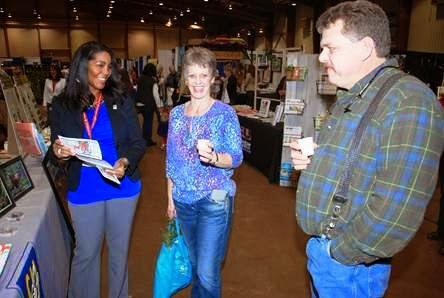 This event, which was held at the Ike Hamilton Expo Center in West Monroe, La., educated the community of the various day-to-day aspects of agriculture and science. The Ag Expo brings to the forefront innovative agricultural products, practices and advances in technology. The event was attended by over 10,000 people from Louisiana, South Arkansas, East Texas and Mississippi. The Southern University Ag Center’s booth highlighted the various methods of urban and conventional gardening and distributed by-products of those techniques. Drs. Janana Snowden, Research Associate, and Vanessa Ferchaud, Research Associate, received high recognition for their research group’s work with the hibiscus (Roselle Sabdariffa) plant. Approximately 900 observers had the opportunity to sample hibiscus tea, which was prepared by the SUAREC staff, and learn of the many health benefits that the plant provides. Over 600 copies of publications were disseminated with nearly 200 hibiscus seed packets provided to farmers interested in growing the plant. This Roselle hibiscus exhibition was inspired by project director, Dr. Kit L. Chin, Professor Plant & Soil Sciences, along with research team member, Dr. Yadong Qi, Professor of Urban Forestry, and funded by USDA/NIFA project #2012-38821-20092. 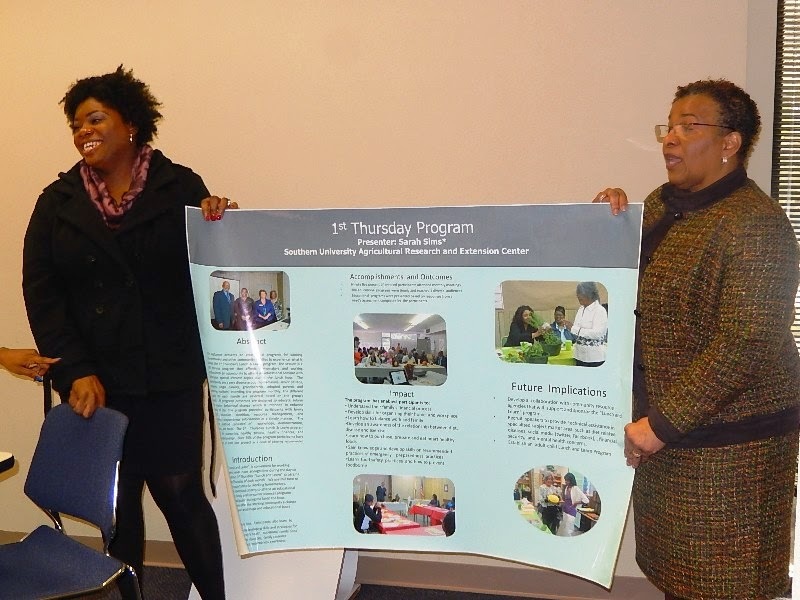 "Dr. Janana Snowden and Dr. Vanessa Ferchaud really represented the Southern Ag Center very well. They had some timely publications and educational information regarding Hibiscus sabdariffa for the public which was very well received along with significant interest. I think the most impressive thing about these two researchers was their ability and willingness to discuss the Southern University Ag Center as well as their research project on Hibiscus sabdariffa with the public. Snowden and Ferchaud’s performance this weekend certainly made North Louisiana more aware of a Southern University Ag Center and many wanting more," praised Rafash Brew, Area Horticulture Specialist, Northeast Region, LSU AgCenter. In addition to representing the Southern University Ag Center, the team also attended a luncheon where Louisiana Dept. of Agriculture Commissioner Mike Strain was the keynote speaker. He emphasized the importance of agriculture and international trade through Louisiana’s five ports. Overall, the 33rd North Louisiana Agri-Business Council Ag Expo provided great exposure for the SUAREC’s research and extension endeavors in the community and also provided an advocate of recruitment for the Southern University System. Janana Snowden or Vanessa Ferchaud at: (225-771-2242). Baton Rouge, LA – Southern University Ag Center employees along with the U. S. Department of Agriculture (USDA) Louisiana Farm Service Agency (FSA) will present a series of in-person training opportunities available for Louisiana’s producers through the Noninsured Disaster Assistance Program, enacted by the 2014 Farm Bill. The presentation will also include the introduction of a web-based decision tool. To register, contact Ahmad Robertson at 225.222.4136, 985.748.9381 or e-mail ahmad_robertson@suagcenter.com. To register, contact Odis Hill at 318.281.5741 or e-mail odis_hill@suagcenter.com. To register, contact DeLane Rose at 337.332.2181, 337.943.2410 or e-mail delane_ross@suagcenter.com. To register, contact Terry Washington at 318.767.3968, 318.767.3971 or e-mail twashington@agcenter.lsu.edu. To register, contact Terrence Marshall at 225.389.3056 or e-mail terrence_marshall@suagcenter.com. To register, contact Zanetta Augustine at 225.771.2242 or e-mail zanetta_augustine@suagcenter.com. "This training will establish a critical link between the 2014 Farm Bill and producers by providing a greater understanding of program options as well as use of the web-based decision tool," said Craig A. McCain, FSA State Executive Director. "This is only the beginning of the educational process. Additional local meetings will be held in the weeks to come." 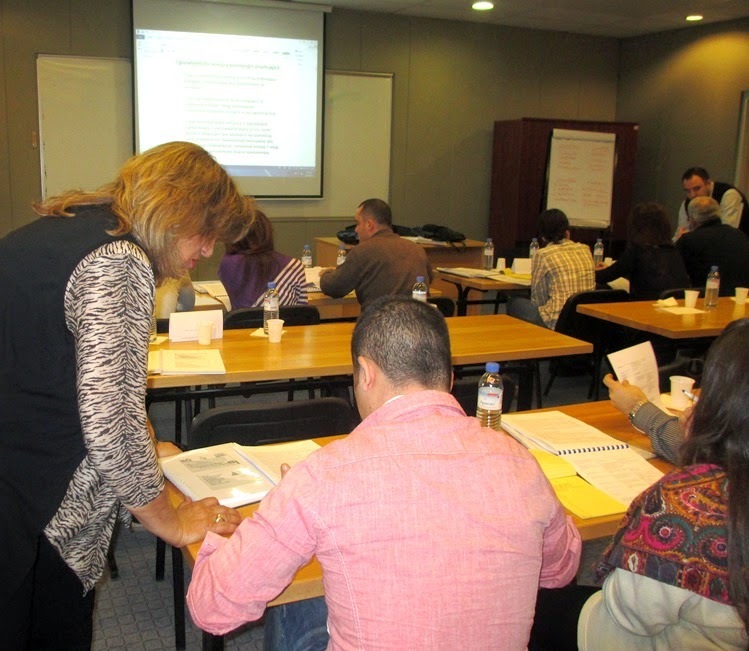 Baton Rouge, La - During the week of December 12, 2014, Fatemeh Malekian, Professor of Nutrition and Food Science at the Southern University Ag Center provided training on Retail Hazard Analysis and Critical Control Points (HACCP) to food handlers in Yerevan, Armenia. HACCP is a preventive system to ensure safe food production. The training started with introductions of participants and subject matter, followed by the trainees gathering into small teams of 4-5 members. Each team was based on HACCP principles. To give all participants equal footing, the basics of the training were focused on Serving Safe Food “ServSafe” and sanitation slides, gradually moving into the full HACCP details. The session consisted of brainstorming, discussions, questions and answers and menu grouping. At the end of the five-day training, each team was able to produce a useable Retail HACCP plan for their facilities. The training concluded with team presentations and distribution of certificates to participants. The trainees expressed their collective appreciation for the opportunity offered to them through the partnership of United States Department of Agriculture, Center for Agribusiness and Rural Development, an Armenian farm service center, Southern University and LSU Ag Centers. 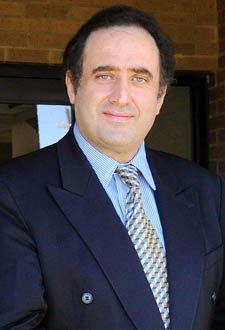 Baton Rouge, LA - Kamran Abdollahi, Ph.D., Urban Forestry Program Leader and research scientist at the Southern University Ag Center has been appointed to serve as a member of the Baton Rouge Green Board. At the Baton Rouge Green Arbor Day celebration, Dr. Abdollahi, who also serves as the Graduate Director of Southern University Urban Forestry Program, expressed his appreciation for being given the opportunity to serve on the board. "The field of Urban Forestry plays a significant role in education, research and outreach for improving the quality of life of our communities. Southern University's Urban Forestry Program is working with Baton Rouge Green and the US Forest Service to improve the quality of life in Baton Rouge through tree planting and outreach activities based on scientific findings through research. Events such as this Baton Rouge Green Arbor Day are vital for providing communities with scientific information about the importance of our urban forests,” Dr. Abdollahi said. Baton Rouge, La - Southern University Agricultural Research and Extension Center is always sharing new information to enhance the life of small farmers in Louisiana. Recent research findings are demonstrating a new trend of using goats to clear the land of unwanted plants in the United States and globally. Agricultural uses of goats in America: Clearing land of invasive plant species; providing meat and hide; milk, butter and cheese; and mohair fiber. Follow this link to read the full article on the new trend in goat business. 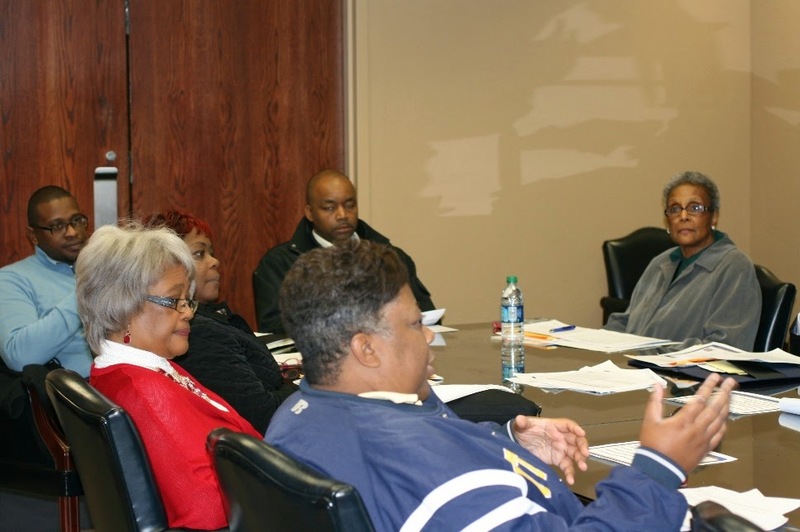 Baton Rouge, LA – The Communities of Color Network (CoC) in the Southern University Agricultural Research & Extension Center is helping male smokers quit the habit with its new African-American Male Cessation Initiative. 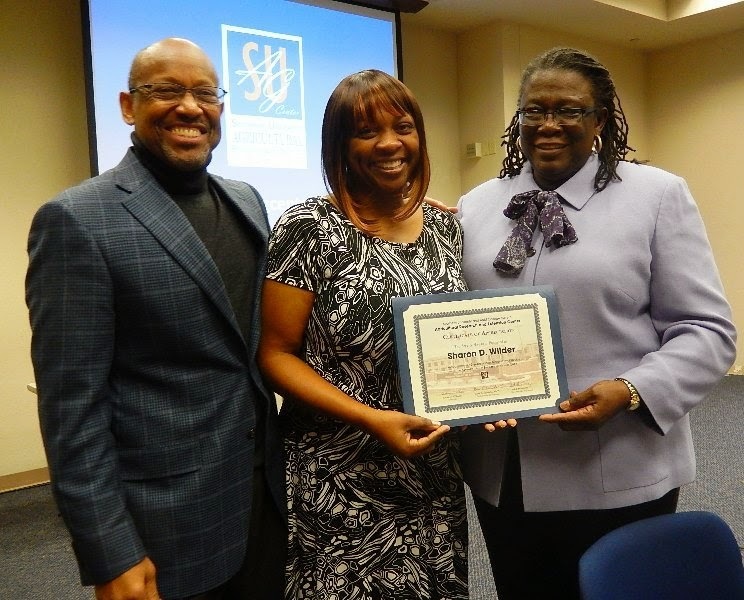 Through educational awareness workshops, the initiative will provide African-American men with cessation resources and information about free services that may be available to help them stop smoking. These services include nicotine gum, patches and prescriptions, but they must complete an application to see if they qualify. 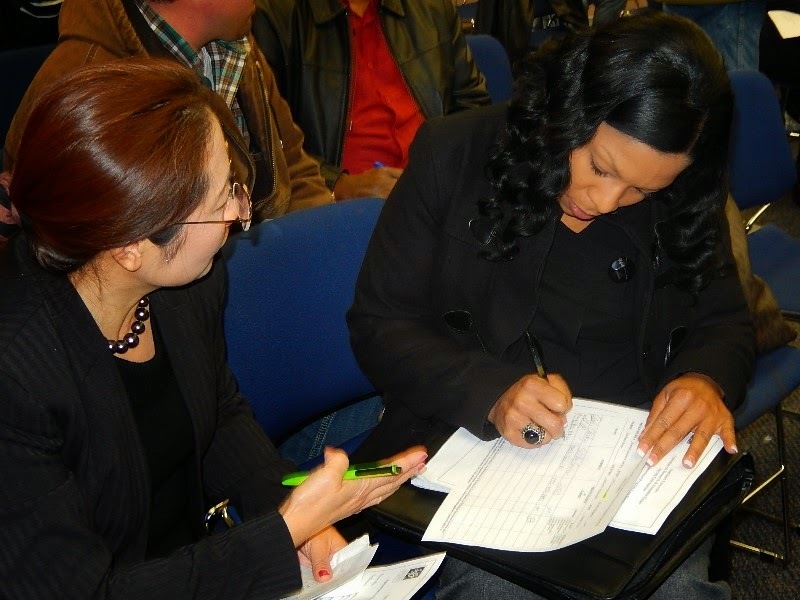 CoC employees will be available to assist with the completion of the application process during several kick-off events that will be held throughout the state. 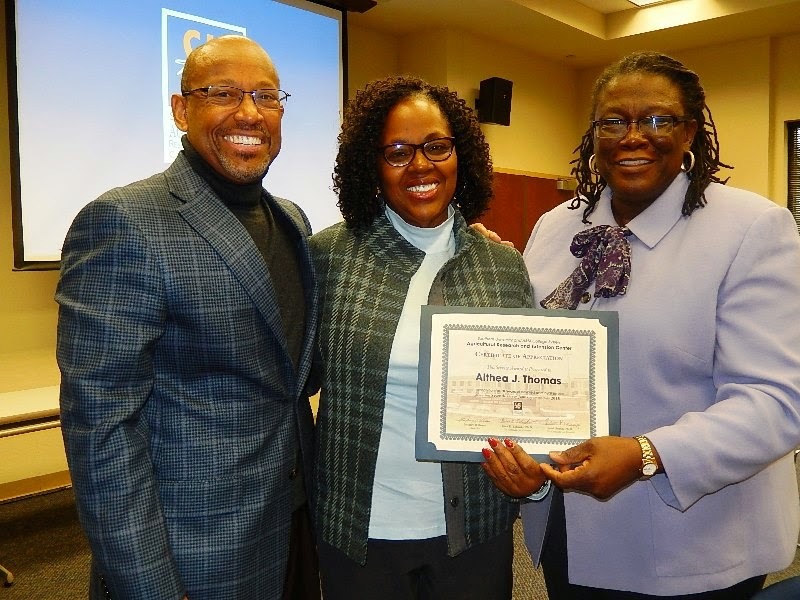 "This initiative will begin the process of improving and perpetuating the health and well-being of African-American males,” stated Linda Early Brown, Communities of Color Network Director. “When this population upholds a tobacco-free lifestyle, they will affect change throughout their circle of influence and positive health outcomes will be imminent." Non-smokers are invited to attend and learn how they can encourage their family members and friends to stop smoking. Funding for the initiative is provided through a smoking cessation trust grant by the Louisiana Public Health Institute/The Louisiana Campaign for Tobacco-Free Living. The Communities of Color Network provides support and technical assistance to African-American communities to ensure they are well-informed about the dangers of tobacco, and understand how to protect themselves from unhealthy exposure. 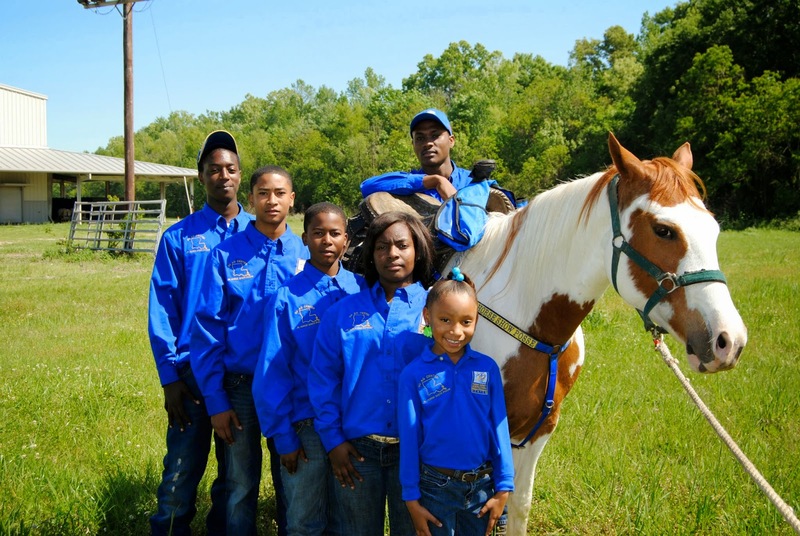 Baton Rouge, LA – The Horse Show Program at the Southern University Agricultural Research and Extension Center will kick-off its 2015 horse seminar series for youth on Sunday, January 18 from 3 p.m. to 5 p.m. at the Maurice A. Edmond Livestock Arena, Hwy. 61 North in Baker, La. The youth will receive information in a classroom setting along with hands-on training. Snacks will also be provided. To pre-register for the seminar or for additional information about the Southern University Ag Center’s Horse Show Program, call 225.771.6208. Baton Rouge, LA – The Southern University Agricultural Research and Extension Center mourns the loss of Wilbert Harris, Technology Specialist with the Southwest Center for Rural Initiatives. Harris passed away at his home on Friday, January 9. Harris touched the lives of thousands of Louisiana citizens through the numerous computer literacy, social media and technology classes that he taught throughout the state. Harris also installed computers and provided technical support to more than 10 Rural Technology Centers in East and West Baton Rouge, Iberville, St. Helena, East Feliciana, Evangeline, St. Landry, Pointe Coupee, Tangipahoa and Rapides Parishes. 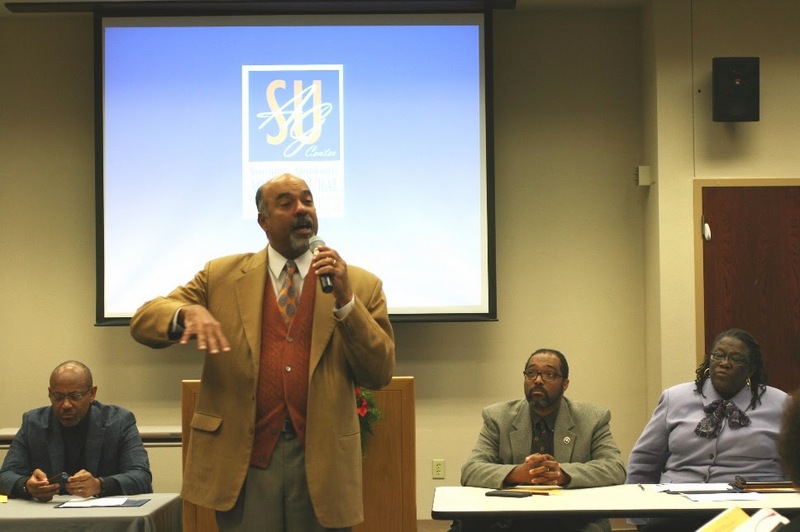 Baton Rouge, La - The Southern University Agricultural Research and Extension Center held its 2015 Spring Convocation and Planning Meeting culminating in a kickoff of the 125th Anniversary of the 1890 Land-Grant Act during the January SU System Board Meeting. The three-day convocation, which was held January 7-9, brought SU Ag Center employees from across the state together in A. O. Williams Hall to share progress reports, clientele needs and strategic plans for the year. Administrators, faculty and staff convened to review the state of the Center while planning strategic ways of moving forward. The 2015 convocation was unique because it also brought research, extension and teaching staff together to collectively strategize working models that will ensure the improved well-being of all the Center’s stakeholders. During the opening session, Southern University System President Ronald Mason joined the SU Ag Center’s Adell Brown, Executive Vice Chancellor and Vice Chancellor for Research and Gina E. Eubanks, Vice Chancellor for Extension, to bring greetings to employees. In their opening remarks, Drs. Brown and Mason brought hope and inspiration for the future of the Ag Center and the Southern University System, despite anticipated budget cuts for the Louisiana Higher Education System. Concurrent Sessions consisted of five main areas: Agriculture and Natural Resources; Community and Economic Development; Family and Human Development; Nutrition and Health; and Youth Development. Other discussion topics included Finance, Technology/Communication, Plan of Work/Reporting, Data/Cyber Security and Human Resources. 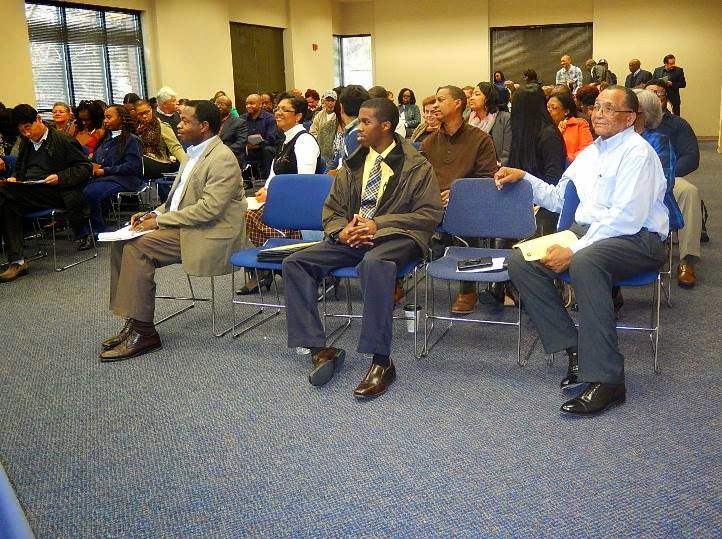 Baton Rouge, La - The Southern University Agricultural Research and Extension Center will hold its 2015 Spring Convocation and Planning Meeting and kick off the 125th Anniversary of the 1890 Land-Grant Act. This year marks the 125th year of the Second Morrill Act, which has produced brilliant scholars, outstanding research and extension programs and continues to hold a bright future for African Americans across the nation. The SU Ag Center has taken the charge to educate the largest Historically Black University system and Louisiana citizens on the importance of the Act and its impact on the nation’s agricultural system. The three-day convocation will bring SU Ag Center employees from across the state together in A. O. Williams Hall to share progress reports, clientele needs and strategic plans for the year. Administrators, faculty and staff convene once a year to review the state of the Center while planning on strategic ways of moving forward. The 2015 Convocation is unique because it will also bring research, extension and teaching staff together to strategize on working better together to ensure improved well-being of all stakeholders.